LAVA P7 an entry level smartphone in India! The Lava P7 smartphone has a 5.0 inch display screen with a resolution of 854x480 pixels. The screen size is apt for people who like a big sized screen and don’t want to spend a fortune for possessing it. The resolution might not be the best (Read: HD!) but it looks decent enough for the attractive price tag the smartphone comes at. It’s available in three colors i.e. White, Gold and Blue. 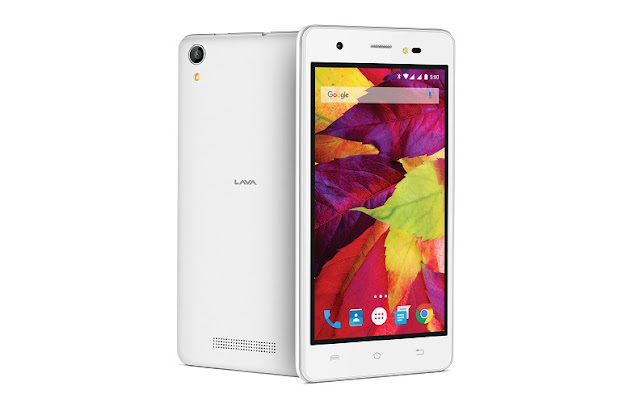 At the budget friendly price it comes at, Lava P7 seems to offer a pretty good performance. It is powered by 32bit quad-core MediaTek processor clocked at 1.2GHz. Coupled with 1GB RAM, the specs do not sound mediocre at all. A smartphone running on 1.2Ghz processor is ideal for playing heavy games associated with modern graphics, image/video processing and working with different apps simultaneously. The smartphone will be available online in a matter of just few days. Don’t forget to avail Flipkart coupons present on CashKaro to earn reward points on your purchase. Camera quality is one aspect which many people aren’t ready to overlook. Keeping this consideration in mind, Lava made sure that it was offering a features rich camera even in an entry level smartphone. Lava P7 features a 5 mega pixel camera and a 2 mega pixel front camera with LED flash. The LED flash will ensure that you capture clear and bright selfies. The camera is also backed up by features like Face beauty, Live photo and Voice capture. The voice capture feature will make it easy for you to take selfies with its command. Long-lasting battery is one thing which you can’t find even with the high-end smartphones, leave this entry level smartphone. Lava P7 3G smartphone comes with a 2000 mAh battery. It claims to offer up to 20 hours of talk time. The handset also offers a power saving mode to give you extra juice.If you use your phone excessively throughout the day, it is better that you invest in a power bank. A power bank will keep your battery woes at bay. You wouldn’t be required to worry unnecessarily about holding a dead battery phone at the end of the day. Regarding storage, it can be expanded up to 8GB. To get this smartphone at the best deal, avail Snapdeal coupons via CashKaroand get access to fabulous offers. The smartphone is coupled by an interesting feature calledChild mode which assists using certain sounds that help in gaining the attention of kids and making tricky clicks easy. That’s awesome, right? There are other useful features also like smart wake-up, multipoint touch, custom and drawing features. The smartphone supports Wi-Fi, Bluetooth and GPS. The smartphone runs Android 5.1 Lollipopbut the company promises that the device will upgrade to Android 6.0 Marshmallow.